Former president Olusegun Obasanjo has in a lengthy press statement asked President Muhammadu Buhari not to run for president in 2019, The Cable reports. 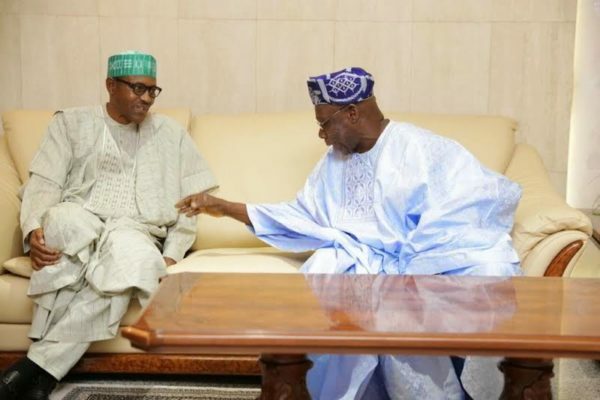 Obasanjo, who was a supporter of Buhari in the 2015 elections, said he believed in Buhari, and although he was aware the current president was not well-versed in the issue of the economy, he thought he would bring to the table people who were. Nigeria needs to move on and move forward, Obasanjo said. But there are three other areas where President Buhari has come out more glaringly than most of us thought we knew about him. One is nepotic deployment bordering on clannishness and inability to bring discipline to bear on errant members of his nepotic court. This has grave consequences on performance of his government to the detriment of the nation. It would appear that national interest was being sacrificed on the altar of nepotic interest. What does one make of a case like that of Maina: collusion, condonation, ineptitude, incompetence, dereliction of responsibility or kinship and friendship on the part of those who should have taken visible and deterrent disciplinary action? How many similar cases are buried, ignored or covered up and not yet in the glare of the media and the public? The second is his poor understanding of the dynamics of internal politics. This has led to wittingly or unwittingly making the nation more divided and inequality has widened and become more pronounced. It also has effect on general national security. The third is passing the buck. For instance, blaming the Governor of the Central Bank for devaluation of the naira by 70% or so and blaming past governments for it, is to say the least,not accepting one’s own responsibility. Let nobody deceive us, economy feeds on politics and because our politics is depressing, our economy is even more depressing today. If things were good, President Buhari would not need to come in. He was voted to fix things that were bad and not engage in the blame game. Our Constitution is very clear, one of the cardinal responsibilities of the President is the management of the economy of which the value of the naira forms an integral part. Kinship and friendship that place responsibility for governance in the hands of the unelected can only be deleterious to good government and to the nation. I, therefore,will gladly join such a Movement when one is established as Coalition for Nigeria, CN, taking Nigeria to the height God has created it to be. From now on, the Nigeria eagle must continue to soar and fly high. CN, as a Movement, will be new, green, transparent and must remain clean and always active, selflessly so. Members must be ready to make sacrifice for the nation and pay the price of being pioneers and good Nigerians for our country to play the God-assigned role for itself, for its neighbours, for its sub-region of West Africa, for its continent and for humanity in general. For me, the strength and sustainable success of CN will derive largely from the strong commitment of a population that is constantly mobilized to the rallying platform of the fact that going forward together is our best option for building a nation that will occupy its deserved place in the global community. May God continue to lead, guide and protect us. Oginni di? Romance yaff finnish nau nau? Yeye dey smell. Buhari is living in La la land. His greed might just make him refuse all sensible entreaties. His disgrace will be epic. It has begun!!. But does anyone need to tell Buhari before he knows not to run for a second term? It’s been a disaster thus far… where do we begin? 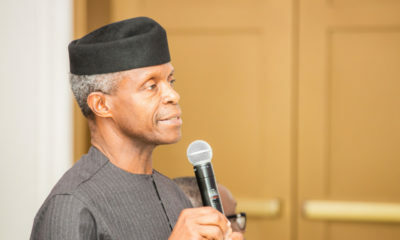 the fact that the man was out of his country for the most part of his tenure, or the senseless killings by his people that has still not been addressed till date or the increase in unemployment, or is it the acute hunger and inflation, or the different blunders from his media team….?? he should take a bow and leave. He’s done nothing but blame past administrations for his woes. Past administrations of which he was a head at a time. And so we welcome the birth of a new political party. God keep us to see 2019 and beyond. No one should miss the drama that has just started to unfold. Hahahahahahahahaha where is Lauretta with her cow endorsements? Waitooo Buhari wanted a second term for real? untop of what na? with your 4 years that feels like 400 years? God forbid. What is the political ideology of APC & PDP? Is Nigerian politics even on the the political spectrum or do people just vote solely for their preferred leader? We vote because our ward leader tells us who to vote for Lol. Nigeria we hail thee. Buhari is not versed in anything. Babanla mistake. He has to go. Neither party has an ideology. Sad but true. I appreciate what OBJ has written. He is not perfect in any way, was selfish and vindictive when he was president, but again he has put himself on the right side for posterity. Father Buubuu should listen to the will of the people and God, and honorably step aside. 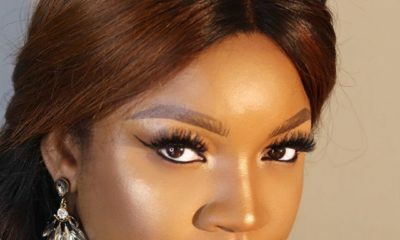 My darling Becca, you have asked a very important question that flew right over the head of many an audience in this here BN and I can bet many Nigerians. Our political process is so infantile it’s ridiculous. What do the parties stand for? We do not know. We will still keep having the ‘Nigerian problem’ for a long time to come, whether it is duke, buhari or a posh spoken, western educated fine boy! thank You OBJ! i am y not like your ways but you have balls and i love you for it. Watch as the eagles start to circle around; 2019 will be Lit for good and bad. Ha ha, my sentiments exactly. Thanks for your comment. Wikipedia failed Nigerians. I think they all got too excited when they saw his fine family (only exposed for political reasons, i.e. to paint him as a family man) and saw Michelle Obama carrying Bring Back Our Girls (100% political move, orchestrated by political campaign planner David Axelrod, a good friend of the Obamas). How about all those people that were trekking for Buhari? Now, his son was airlifted to Germany when he hit his head from power biking. How many Nigerians can even afford to be airlifted to Ghana in such a circumstance, given the explosive fall of the naira from N165 to 1usd in 2015 to N368 to 1 usd in 2018? As whom I would consider Buhari’s biggest supporter during the 2015 elections, I will say this “Buhari, please, jor, biko, (whatever “please” is in Hausa/Fulfude/Arabic), do not let your ego, greed or stubbornness push you to run in 2019. You cried for years that you had something to offer Nigeria; you were given the chance and failed. There is no room for repeat; the patient is dead. What we need now is someone who can raise the dead and rotting. Regardless of how much we would like to deny it,, Nigeria is a failed state and it failed to the deepest of levels under your watch, and you have shown clearly you do not have the capacity and maybe even the interest in governing this country the way it should. I support Obasanjo in this. Please don’t come back. You need to be put out to pasture. Go rock your grandchildren on your knee and read them bed time stories. We’ve had enough of you. The jig is up. We know what happened the last time Obj wrote to a sitting president. You go join me dance “election dance? I see the CIA has told OBJ to give Buhari a warning before Its too late. Obasanjo works for and provides intelligence to western governments especially USA. Something is definitely in the works if buhari decides to run again…. VERY PAINFULL!!!! 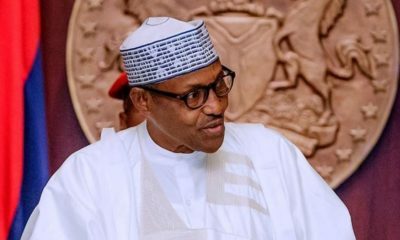 I SUPPORTED BUHARI AGAINST MY OWN BROTHER… THIS MAN CAME IN WITH A WHOLE LOT OF GOODWILL ON A PLATTER…BUT HE HAS PROVED TO BE THE MOST INCOMPETENT CLANNISH NEPOTISTIC HUMAN BEING!!!! NIGERIA, WHO DO WE HAVE TO RISE UP AND LEAD US?? Tony, no be only you. I am busy licking my wounds. All the “I told you so…” Cattle rearer go home and rest! Lol. I wonder what slogan the All ‘Progressive’ Congress will run on after the bastardization of ‘change’. To think they have ‘progressive’ in their name, lol. it’s sa’ad to see you go. Nigerians don’t want a puppet as President. Nigeria needs a president who’s his own man or Woman. Start packing all your s— inside Aso Rock to avoid leaving any personal stuffs behind. your time’s up. a word is enough for the wise. I’m just saying. bella naija!!! where is my second comment o?? obasanjo’s letter was timely and a welcome development to a president whose aids&praise singers have urged to seek a 2nd term.I read it all,I mean d letter but was somewhat dissappointed dat baba seem not to align with d call for restructuring(d type advocated by pastor tunde bakare. y’all shld check it out via YouTube etc)dz 3rd force movement he’s calling 4 seems nebulous to me ..lets restructure 1st& perhaps dz social awakening via 3rd force can kick-start..Am going away with d fact dat baba did highlights d power of d youth 4 a positive change. 4 an old horse like him,it shows his level of patriotism. Please type like an adult. Sensible as your comment was, it was hard work reading it. By the way, why does he think he owns Nigeria, and therefore can decide on who runs for a political office or not? 1. Baba will no longer support BuBu; that means Bubu’s chances of winning (in his dreams) just got shattered. Apart from to fight corruption, BaBa knew that BuBu had no plans for Nigeria. Yet, he didn’t talk of a coalition for Nigeria in 2014. 2. The RedCard movement has been blessed and anointed by BaBa. As I can only see him talking of a certain third reich. Every description he’s given for what a CN should be is what RedCard movement seems to be. 3. Obasanjo is a shrewd man. One that I don’t trust. Yes, he may love Nigeria, but I think he loves his wield of power more than he loves Nigeria. If he’s backing the redcard movement, then I’m not sure that they are a movement to trust. If there’s anything I’ve learnt about him, it’s that the statement; ‘You can’t bite the fingers that feed you’, holds true with him. BN why is my first comment missing? But this shouldn’t be our response, sometimes the bearer of good news maybe an enemy but that never takes away from the good he has said, I believe we are all youths on this platform. how about we form our own party and see what happens. We can’t keep living like this at least for the sake of our kids and grandkids. I am seriously thinking about starting or joining a party that shares the same views of moving the country forward as I do. We need a revolution fast and quick this is an emergency these old cargos cant keep fooling us by using our paid taxes for their family gains. Nigeria is not a family buisness no politician in this Nigeria can bedazzle me with their money cause I know most of it is mine. We deserve better and need better. How can we come together to achieve this guys? How? ” No politician can bedazzle me with money because I know most of it is mine”. Words on marble. Extremely well said. You’ve said it all .the way forward is we all get our voters card and send a message to future politicians that if you misbehave we have the power to send you home. That said we can all say we are not affected until people around you including the ones you feel are wealthy approach you for cash then you would understand that it is not a poor man’s problem but our collective problem as a nation. Thank you Baba obasanjo for speaking the mind of most Nigerian.a word is enough for the wise. Favour, sorry but is this sarcasm? Like are you effing kidding me? “What has buhari done wrong?” Your Take is that buhari should go for a second term, so that what will happen na? So that our economy which is already bad will become worse or so that we’ll keep on being victims of his fellow cattle rearers. I mean what can you say buhari’s achievement is since he was voted in 2015. Is it the long fuel queues or lack of overall development or how the cost of living in nigeria increases daily? What are his achievements, favour? Ok sorry you must be lauretta onochie, She’s the only one that can type the rubbish you put up there. Even if he brings professional competent hands or whatever, Oga buhari is too old to be the president, even his wife thinks so, let him retire in peace and spend the rest of his life in daura being a good grandfather. I will cast my vote for Buhari in 2019 as revenge to all the people that voted him in in 2015. let the suffering continue! How can you be wicked even to your own self? You should be feared. People (like me) supported PMB because they believed he actually had the good of Nigeria at heart… kia this your statement made me remember the two women in the bible that were laying claim to a child and Solomon asked that the child be divided into two and shared to them (of course this will kill the child) the really mother cried and said the other woman should take the child she will rather remain childless than watch her child die… that is the kind of heart you are expected to have toward this country (well as long as we stay together) how will you rather watch Nigeria go to ruins under PMB just to prove a point? watch your children have no future? your parents? friends? relatives ? even random strangers not able to eat? Men some of you should be feared from the kind of statements you make…. Now, you are being an idiot, nothing more. just like how Trump has his chance and he’s been showing what he’s capable of. It’s up to Americans to want to continue like this or not. Na wa o ,I voted for Jonathan my people halla sey i should have voted Buhari that naija for betta ,.next election i come trek 20km go vote for Buhari now my people they halla me now sey I should have voted for Jonathan that hunger no for dey bite us like this.Chei ! my people, na only naija dey waka like this!!! …and for the first time I could read such a lengthy epistle without letting out a yawn. Its quite unfortunate that the APC drama unfolds into a blank script… we’re so bored! Watching out for 2019 elections but then bubu please go home and and take a retirement vacation- I feel for you- eziokwu! Obj has repented; Hallelujah! Of course he’s too old. So u want me to believe the football age they’re saying, Oga buhari must be pushing about 80, whether you believe it or not is your business. He’s not good for nigeria and you must definitely need a mental check up if you think, with all that is happening, that he should still continue as president.